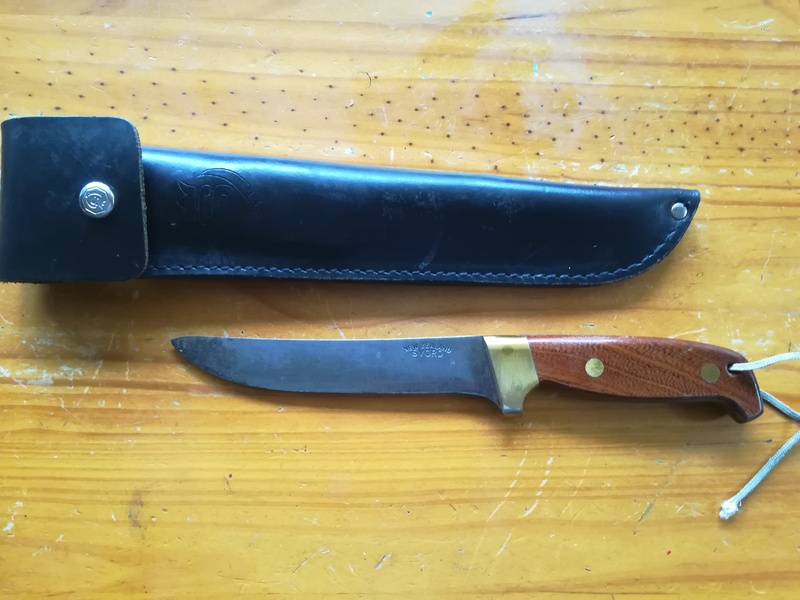 Svord deluxe general purpose restoration tips ?? 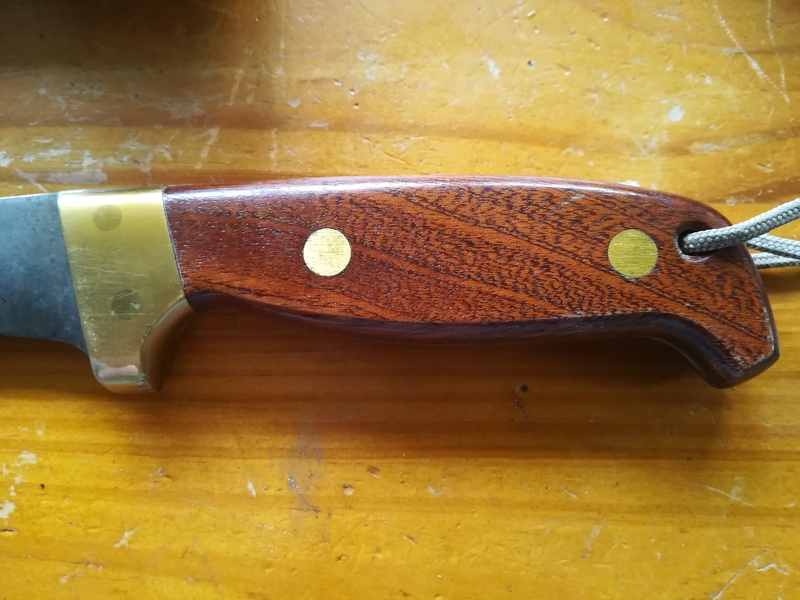 Thread: Svord deluxe general purpose restoration tips ?? 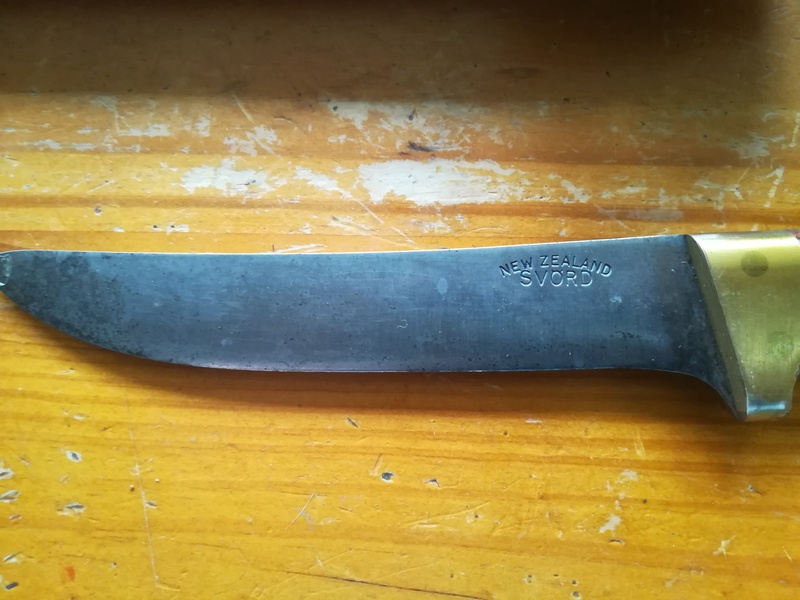 I bought myself a svord deluxe general purpose knife from the police auctions and would love to hear any tips for restoring it to its former glory. 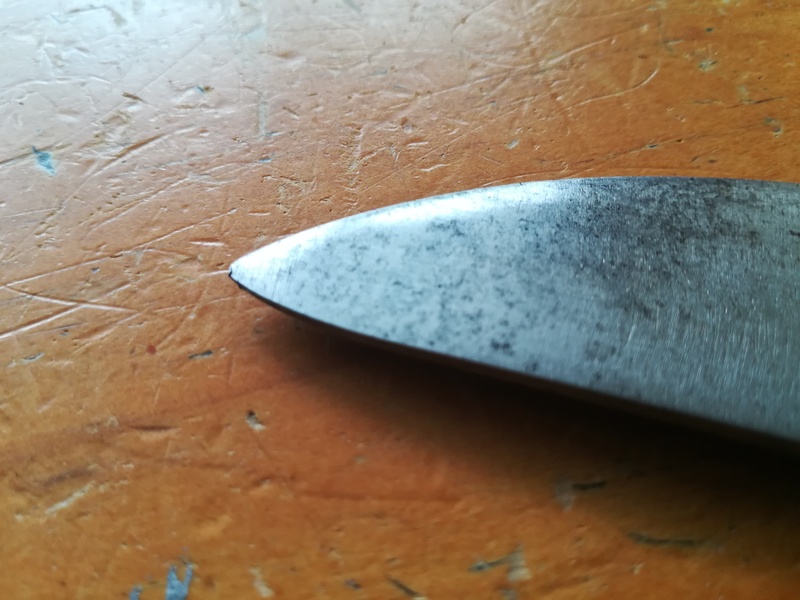 Aside from being dirty and a little tarnished the blade looks to be in good nick, straight, no chunks missing and not excessively dull. I've had a look on the svord website and the care instructions seem pretty straight forward. 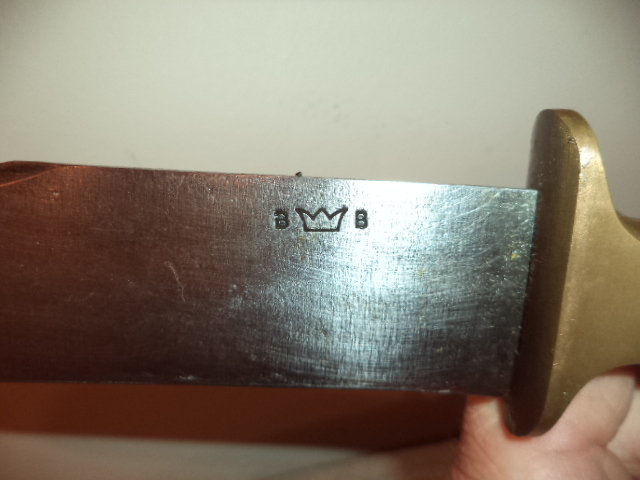 Hoping to make this complimentary to my mercator intend to be the only knives I ever need to buy. There is a small nick in the very point not sure what to do about that ? Can't really tell from the pics but it came up really nice just cleaned with green scotchbright, boiling water and a quick oil. Yup took it round to a mate and he tidied it up with a fine diamond stone, it's now sharp enough to shave with. I was supprised how little it took to bring it back. 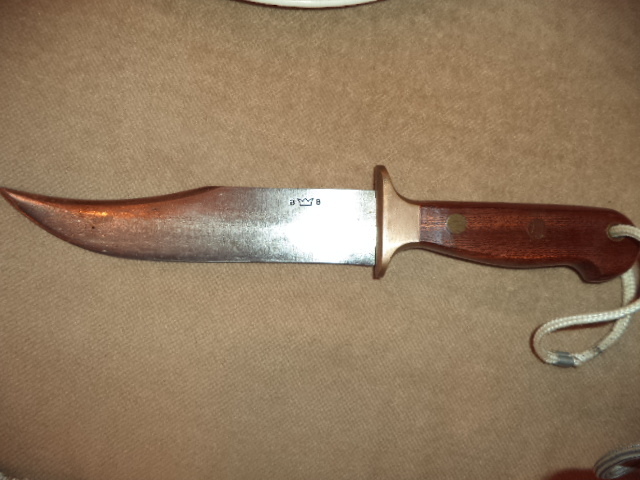 Love the way it feels in the hand the wooden handle has a good weight to it and isn't cold like some steel knives. 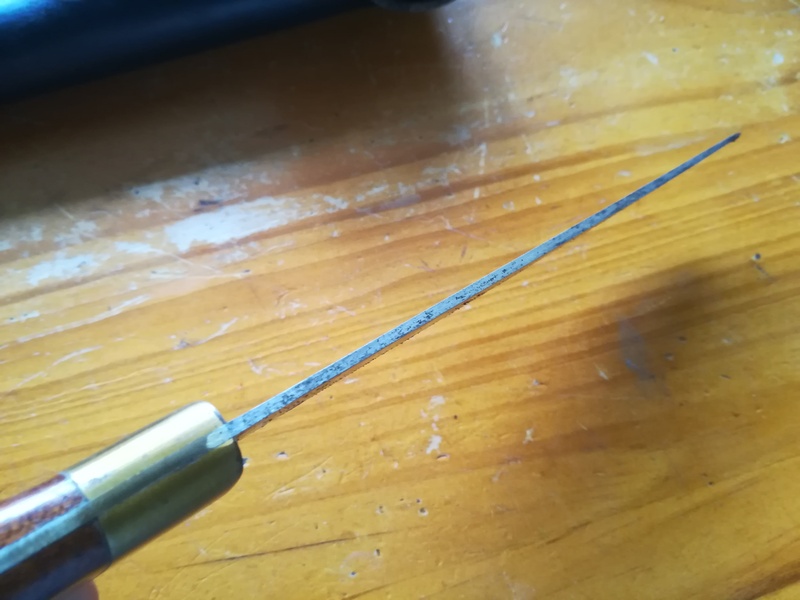 If you want to remove all the rust and pitting use some white vinegar on it. how much did you wrangle that for? 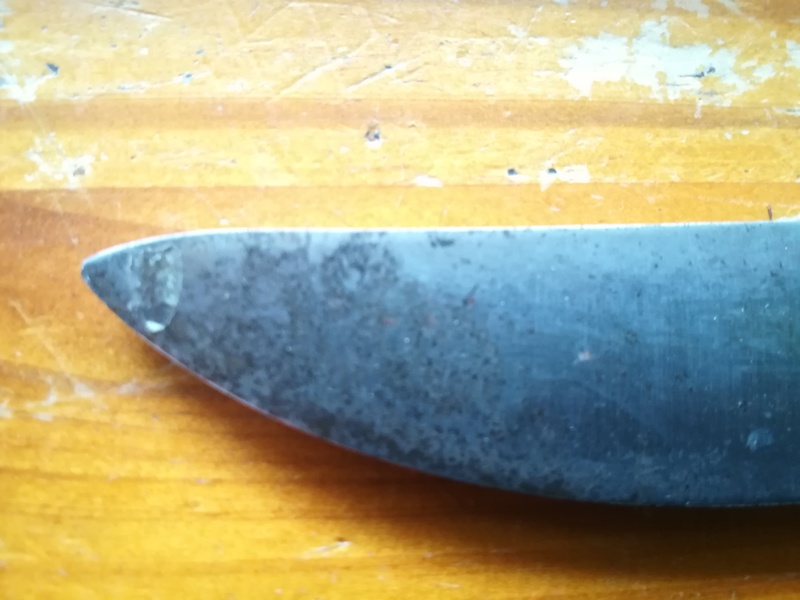 I'm in 2 minds about the pitting etc, it kinda gives it a nice patina, but if I leave it will it eventually damage it beyond salvation ? I wiped it with an oily cloth after cleaning it up. Look up Svords number and ask Brian what he suggests. They are in Waiuku, Auckland. 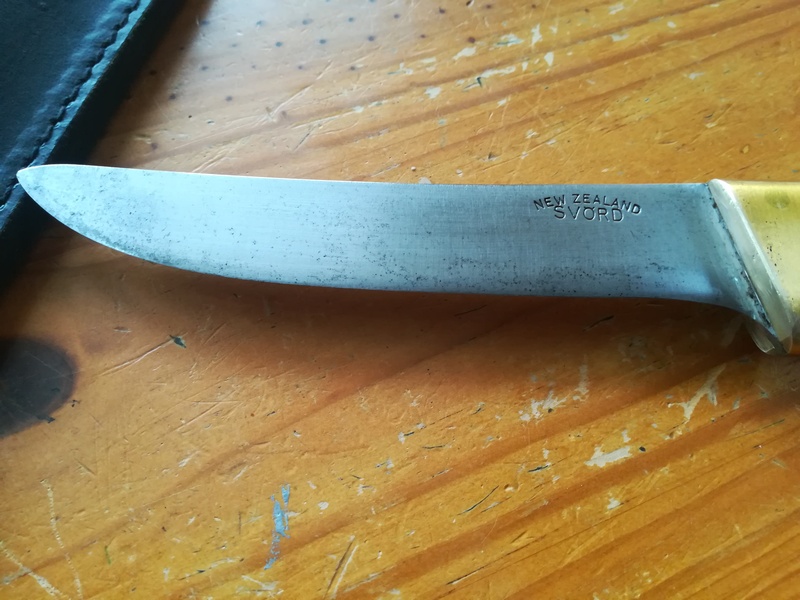 You can soak it overnight in vinegar, it will patina the blade (it will go grey), it’s a type of rust, just not bad rust, it will protect the blade from bad rust, but it won’t be all shiny and pretty. I would still oil in and don’t put it away wet and when not in use do not store it in the sheath, just wrap it in some newspaper, and keep it somewhere dry (sock drawer is my favourite). If you want to keep it shiny then You will need to clean it and dry it then oil it after every use-which can be a pain, but it does work, just needs a little forethought when you are taking it out. 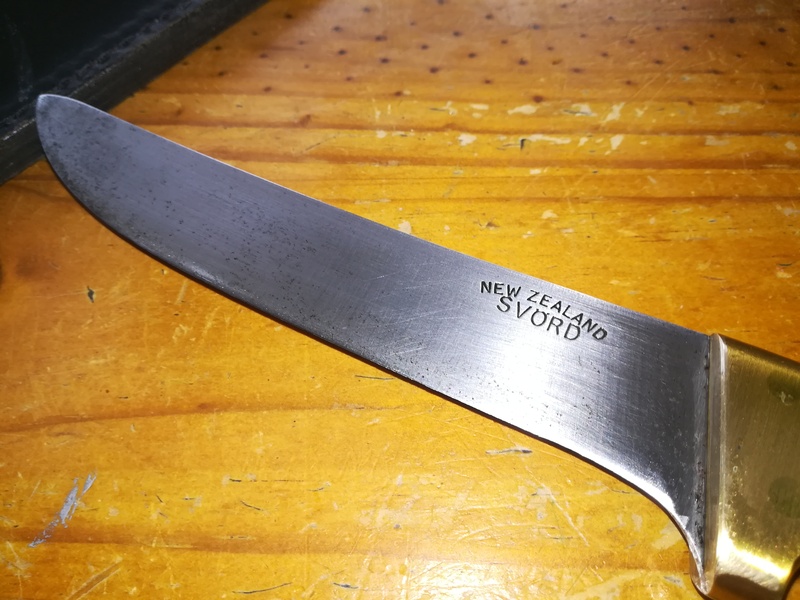 Once it’s sharp just give it a strop between uses and it should hold the edge unless you abuse it. 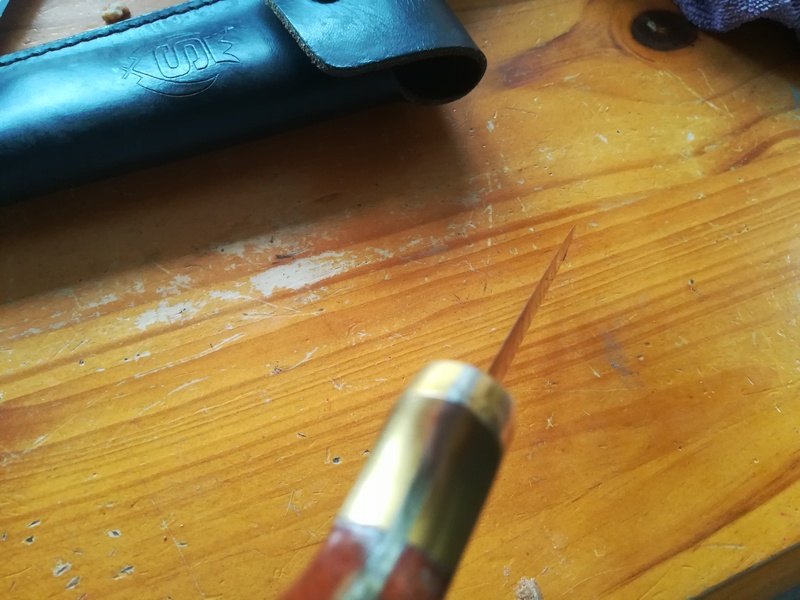 "just give it a strop between uses"
257weatherby and SGR like this.